I know that I said I would likely only be posting on Tuesday/Thursday for the foreseeable future, but I love surprising y’all with some interesting post ideas. So many people are graduating high school and college this week, so I figured I would give you a gift guide for any incoming freshman you know who will be living in dorms. I want to do other gift guides throughout the summer so you can give your friends and family the perfect going away gift! I have seven themes listed below. Feel free to buy them as sets, or just get individual pieces. I am sharing a ton of ideas below, and I hope you like these. Let me know in the comments below which idea is your favorite! *This post contains affiliate links, y’all! You can get as creative as you want with this starter kit. Just make sure that you are wary of the space that college students have in their dorm room. Don’t go too overboard! All in all, you just want to make dorm living as comfortable for them as possible through the use of items that make them feel at home. This set will help them drink more coffee at home. They may still go out for those specialty coffees they can’t brew in their dorm. Overall, though, they will be happy with what they can save when they don’t have to go to Starbucks for everything. All these excellent decor pieces combined will give them a Tumblr/Pinterest dorm room for sure! Make sure everything matches, though! Your incoming freshman will likely already have a desk and chair on campus, but they might not be the most comfortable. Purchase some extra goodies to help them feel better while studying. Dorm bathroom life is so much better when you have the supplies to survive it. If your freshman doesn’t share a bathroom with an entire floor, make sure they have some bathroom cleaning supplies. They don’t want to be the suitemate who never cleans up! To finish out this set add some ramen noodles, pasta, mug cakes (did you know Duncan Hines sells mug cake mix?! ), and other goodies for the perfect gift set. You could also add a gift card to Walmart or another grocery store as well. Dorm life can be fun again with all the products I showed you today! 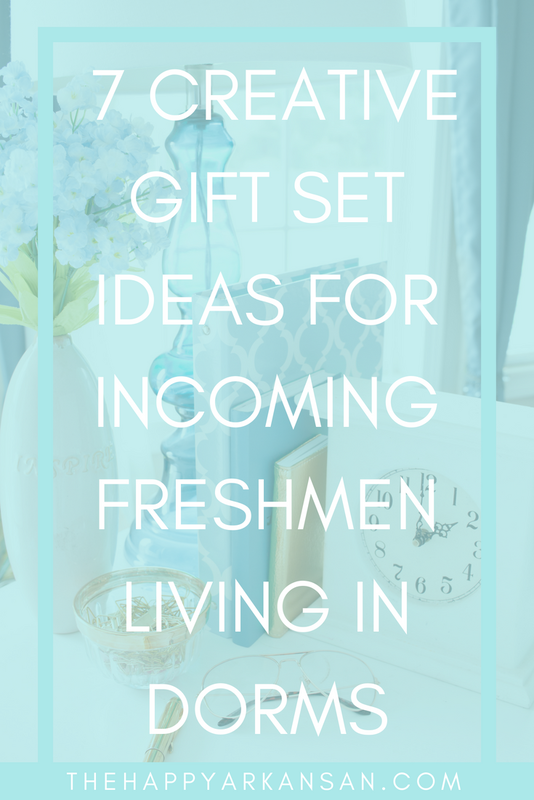 These gifts may not make your incoming freshman squeal like money or a new car, BUT they are super practical. One of the best gifts I ever received when I was headed to college was a laundry basket and a bunch of supplies I could use in my dorm! At the time when I was getting gifts I was most excited about the monetary ones, but over time I realized I needed all the stuff I got in that basket. You should strive to get your incoming freshman gifts that keep on giving. A lot of those gifts I got my freshman year followed me all throughout college. So, choose gifts wisely and make them practical, y’all. I love this post idea! I wish I’d had a diffuser when I was a freshman, the whole dorm had such a weird smell to it.